The young Federspiel Brass Septet will give a guest performance at the Mercedes-Benz Museum at 7 pm on 9 September 2017. The concert is part of this year’s Stuttgart Music Festival, which is organised by the International Bach Academy Stuttgart from 28 August until 10 September 2017 under the theme of “Freedom”. Some of the events will be hosted by companies from Stuttgart and the region, which will make special venues available for the purpose — such as the Mercedes-Benz Museum. 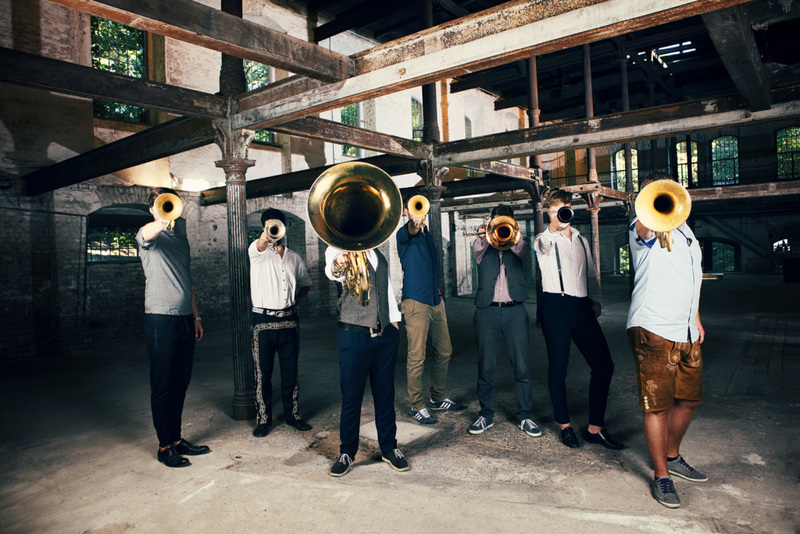 “Freedom”, the theme of this year’s Stuttgart Music Festival, perfectly describes the musical work of Federspiel, for the brass ensemble plays with the popular cliché of rustic Alpine brass band music by taking up this tradition and enriching it with diverse international influences. Skilful improvisation and combination result in a distinctive musical world. This anarchical mix of styles can be experienced at the Mercedes-Benz Museum on 9 September 2017. The atrium of the Museum will be transformed into a concert hall, where Federspiel will present its programme with lightness of touch and at the highest musical level, with a healthy portion of humour and self-irony as well as, at all times, to the great delight of the audience. In 2017, Federspiel won the German Record Critics’ Prize in the categories “Crossing Borders” and “Traditional Ethnic Music”. Founded in 2004 in Krems on the Danube (Lower Austria), the ensemble is made up of six brass players and a clarinettist. The musicians are Frédéric Alvarado-Dupuy (clarinet), Ayac Iuan Jiménez Salvador and Philip Haas (both trumpet, flugelhorn, vocals), Simon Zöchbauer (trumpet, zither and vocals), Matthias Werner (trombone and vocals), Thomas Winalek (trombone, bass trumpet and vocals) and Roland Eitzinger (tuba and vocals). The Stuttgart Music Festival is organised every year by the International Bach Academy Stuttgart. 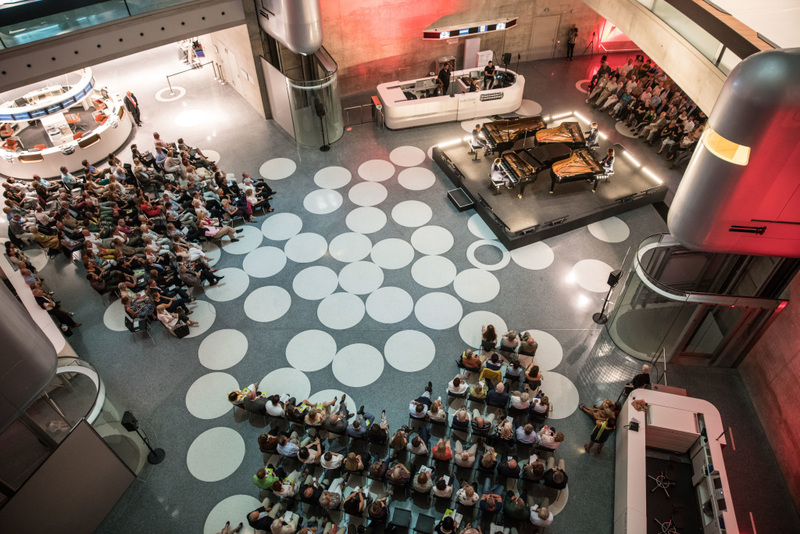 In 2016, the Music Festival was for the first time hosted by the Mercedes-Benz Museum: with a concert by the Gershwin Piano Quartet on four Steinway grand pianos. Entrance tickets for the Federspiel concert on 9 September each cost 35 euros, 26 euros or 17 euros depending on category. Tickets are available from the International Bach Academy Stuttgart by phone on 0711 61 921 61, at all known Easy Ticket Service outlets and online at www.easyticket.de.